The striated sphincter muscle and dilatator muscle are located in the posterior part of the stroma. Pigment cells and a vascular network are especially present in the anterior part. 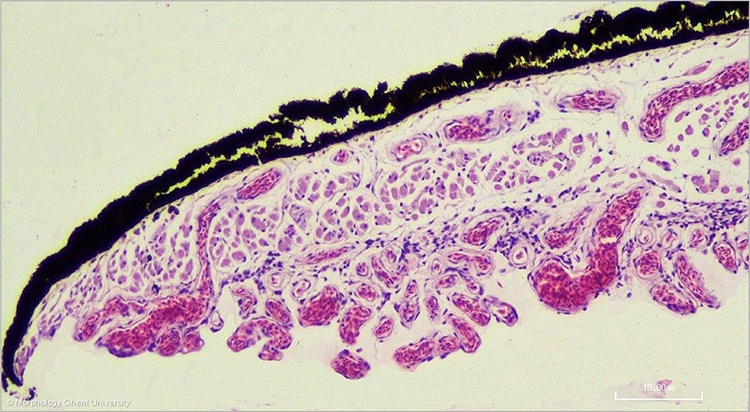 Bulging blood vessels give the anterior epithelium a wavy appearance.